Frequently identified among the top 5 most stressful events that can occur in your life, divorce is, by all accounts, hard. Few situations impact your emotional health, your financial situation, and your daily life as much as going through a divorce. Paul Hewett and Paula Bennett of the law firm of ONDA acknowledge these stressors, but they say there are some things you can do to make the process go as smoothly as possible. “The most important thing to do is to invest in an attorney who specializes in family law,” Paula believes. Paul stresses the importance of insuring the attorney is board-certified. Family lawyers know all the ins and outs of handling divorce cases and have established relationships with the local courts and judges. Once you’ve found a good firm, you should meet with the attorney to see if you have a good rapport with him or her. You’ll be working together a lot; make sure it’s someone you trust. Then educate yourself – especially on your family’s finances. Paul has seen many cases in which one spouse is primarily responsible for handling the assets, but it is extremely helpful if you can come prepared to meet with your attorney able to tell where your community estate spends its money. How much does it take to keep your household? What are the salaries of the spouses? What do you spend on utilities? What investments do you have? Paula says if you really don’t know, work backwards. Start with tax returns to see how much money you have and then look at bank statements to see where funds are going and determine how big-ticket items were purchased. Finally, consider meeting with a counselor. Acknowledge this will be a difficult process, and seek appropriate assistance. Don’t worry that it makes you look weak; in fact, the courts look favorably on those who take responsibility and get support. Paul says that involving your kids in your personal dispute is not in the children’s best interest. Period. He’s seen parents make things more contentious by trying to pit their kids against the other parent and knows how this not only inflames the other spouse but also keeps parents from keeping the kids’ best interests in mind. “Do not involve them in litigation at all,” he says. Paula says, “Be the great parent you always have been.” Frequently, the best course of action is to have a child psychologist or other counselor to meet with you before you talk to the children about your decision and to meet with the kids alone after. Parents should strive to come together to have a proactive plan for how they will jointly answer the questions that will inevitably arise. Paula believes it’s important to separate the two relationships – the marriage and the family. The children need to know what changes will involve them, but they aren’t involved in your adult relationship. A professional can help identify in an age-appropriate way how to discuss issues with your children – what’s appropriate for teens may not be for a younger child. The professional can guide you. ◆Don’t hide assets. It may seem like you’re protecting your money in the settlement, but in the end, if you are found to have defrauded your spouse, they can ask for it all rather than the half they may have originally been entitled to. ◆“Don’t do anything you’re not normally doing without consulting your attorney first,” Paul says. 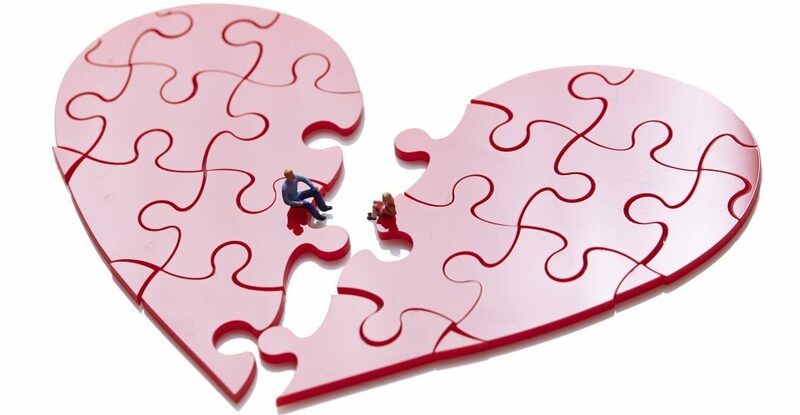 During the divorce proceedings any decision can have consequences. Your attorney will have suggestions on how to handle personal situations. That can include booking a cruise, making large purchases or even changing your child’s school. ◆Be mindful about what you put in writing, especially in emails. Anything can be submitted in court. ◆Don’t disparage the other person. “Whether it’s true or not,” Paula says. ◆Don’t stalk people. There are private investigators for this, but no judge would think it’s a good idea. ◆Don’t tell your spouse what you discuss with your attorney. It can be difficult to adjust to the changing level of confidences you share as you go from marriage to divorcing to post-divorce, but you have an attorney-client privilege and need to trust he or she is working in your best interest. Just remember, “People can not only survive but also thrive after divorce,” Paula tells her clients. She realizes it may seem like an empty road in the process, but she and Paul have seen that if you take the high road, you will be able to get through divorce and end up happy on the other side. Editor’s Note: Paula Bennett and Paul Hewett are partners in the family law boutique Orsinger, Nelson, Downing & Anderson, LLP, (ONDA) and are compassionate advocates for clients facing the life-changing legal matters involved in divorce and issues that impact the welfare of children.